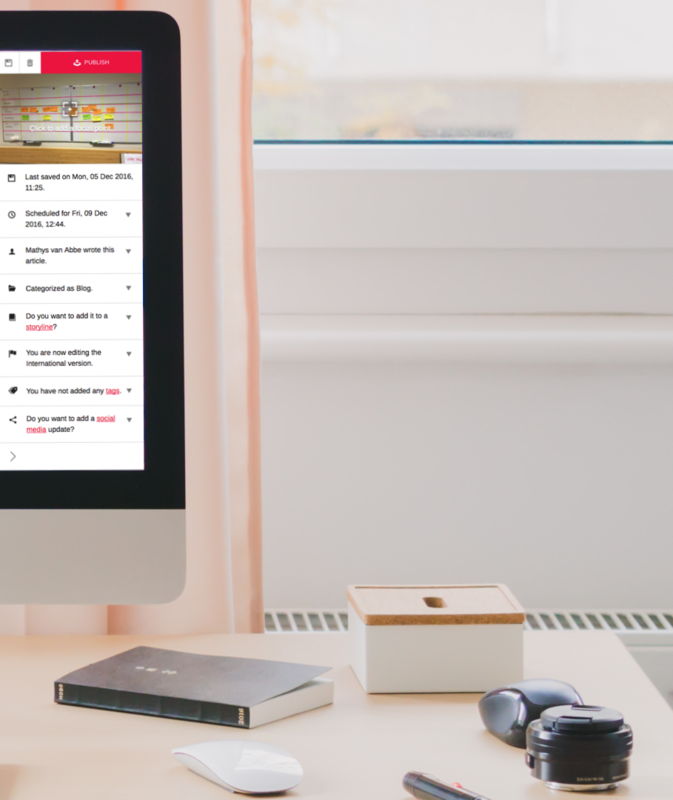 We've been working over two years to build the ultimate content management stack. We named it Create and we're about to officially release it. We think that true relationships are created by continuous sharing of insights, thoughts, adventures and great conversations. Maintaining a relationship is hard work. This accounts for relationships in your personal and professional life as well as the relationship with your clients and potential customers. Tag The Love has been focussing on this since the first platform we launched in 2010 together with Rabobank. With over six hundred Tag The Love platforms created since, we've gained so much experience in online publishing, driving traffic with content and creating value for our clients. Some two and a half years ago we've embarked on a journey to truly rethink the way content should be managed online. 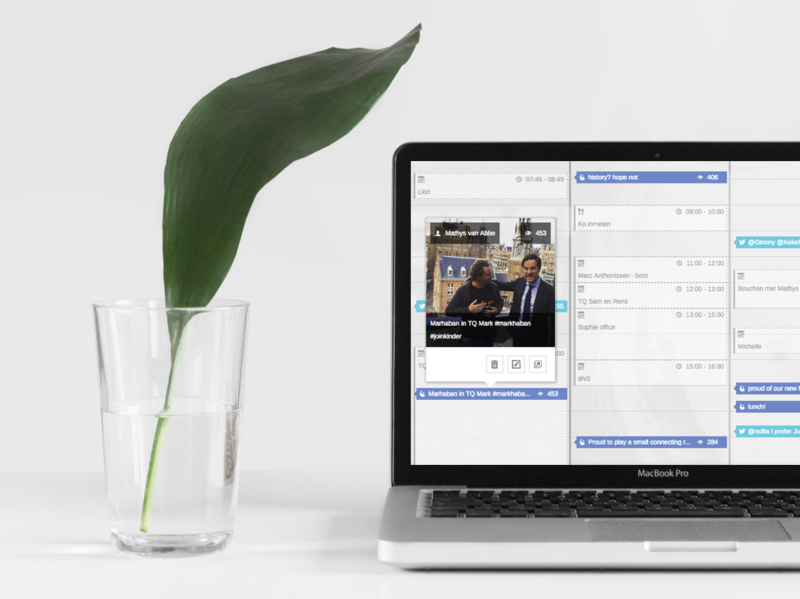 We questioned every step we presented our users to manage their online communications and create impact along the way. In this article we present three big developments from creating content, to scheduling to remixing it. Create is the first true Content Management Assistent. The S from the conventional CMS is replaced because we simply hate that word from an innovation stand point. The communication teams of the organisations we work for often have an operational nightmare managing there content strategies. 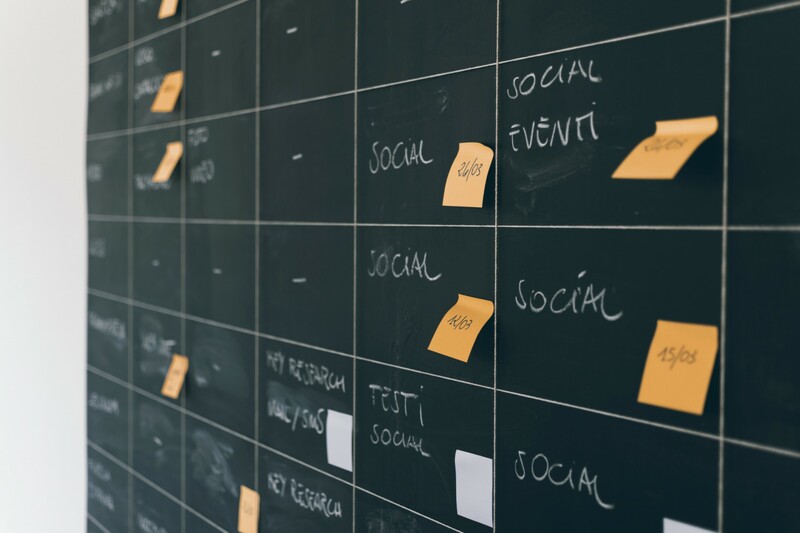 Often editorial departments use offline white boards, coloured post-its, individual calendars or spreadsheets to keep track of planning and the content flows. The editors deliver the articles in different formats like Word or Pages. Media like photos or videos are sent via WeTransfer or USB drives. Then content is uploaded using not so user friendly content management systems to get everything in place. Content has to go live at specific times. Social media posts with the right assets (like cover images and tags) have to be shared on specific times after the content goes live. The content has to be seeded with the right media and influencers in order to create impact. The editorial team and brand ambassadors should be notified to know that content has been published to also have them share the article. Stats have to be analysed to learn what has worked. Analytics have to be shared and feedback and comments have to be processed. We want to make it as simple as possible to blend offline processes with online tooling! So we have been working on integrating this typical workload as effortless as possible. We created seamless connections with your calendars. Your Google and Outlook calendars are synced with your content calendar in Create. Both ways, from offline to online and from online to offline. All the meetings, deadlines, events or other specific items you put in your 'off line' calendar also show up in your Create calendar. In a glance looking at day/week/month views you can see your calendar and act. 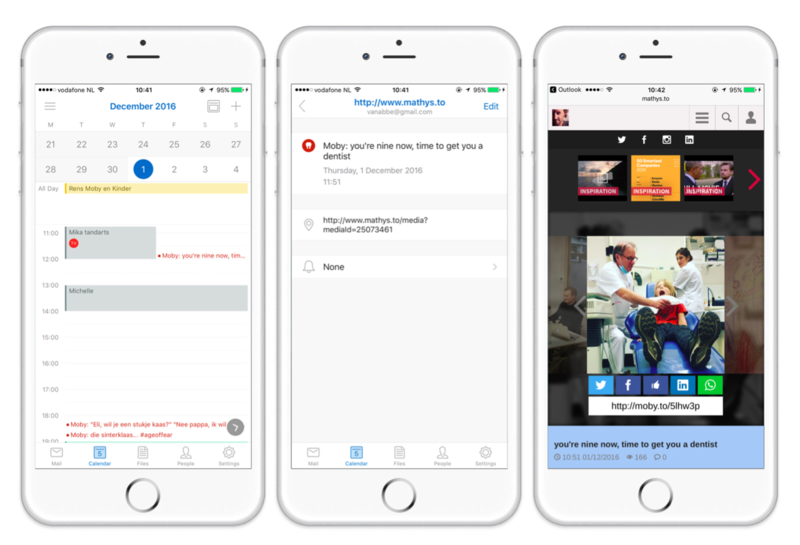 You can schedule posts, social updates, events and even pages all the way in the future. This works similar to Google Calendar, but then for your articles and stories. Every piece of content which is posted online also shows up in your offline calendar. This helps you find content based on your calendar without having to login to Create or even visit your own website. More importantly. All your team members or even your whole company can easily add this content calendar to their normal calendar and see that content has been published, making it only one click away to sharing it with friends/followers. In the calendar we also show the stats for all the different posts so in a glance you can see the performance of each time frame. Of course the scheduling part is essential for efficient work. Especially the way you can connect updates, posting the right links at the right time to all your different social media accounts, to scheduled posts is very time savind and offers peace of mind. We looked deeply into the workflow of how online content finds its way to your screens. How editors get inspired. How they work and and what the role is of social media, the Web and other apps in this process. Events trigger inspiration. The inspiration has to make it's way to paper and then hopefully it will reach millions of screens. That idea is to create impact with content. A thought about a blog comes to mind. This is often triggered by an event. You stumbled upon someone in the street. You witness something and take a picture. A friend shares a beautiful video online. You follow an obscure scientist on Twitter. All possible events which might trigger an idea for an article. Then the editors make a draft of the blog. There are many apps in which they do this. If in a train often notepad or evernote are used to scribble down the first words. Links are copy-pasted from Twitter, Youtube, other blogs etc. Photos are downloaded, emailed, a lot of copy and paste. Photos are emailed from the camera roll to their own account so they can download and upload these later, often screwing up file sizes. Rarely the article will be finished and many ideas die in the process. And even if the story does get created and all the assets are in place, the technology often doesn't play along nicely. Many blogs don't allow easy embedding of external video or imagery. Working with Content Management Systems is a frustrating process all together. Mainly because many of these tools have not been designed for the high consumption media age we're in at the moment. In designing Create for each functionality we ask ourself the question: "Is this 'system' or 'service'?". And if the answer is 'system', we go back to the drawing board. With Create. we've been thinking 'story-centered'. The editors should be capable of adding anything to a post. And they should not be rocket scientists to operate the tools. This should be intuitively simple. In the post editor you can embed any type of content, drop multiple images. And we're proud of our side bar. To eliminate system and the typical dropdown functionality we developed a sidebar which simply asks you some questions to add context to your post. Remix allows users to save content from the Internet, your mobile phone (for instance from your camera roll) and many apps directly to your Tag The Love platform Library. We've created apps (iOS and Android) and a browser extension (Chrome and Safari is coming up) to make this as simple as possible. You can save almost anything in your library and instantly reuse the content in your posts. Watch the video below for a demo! Create. is available for all our Tag The Love clients as of now. Contact us if you would like a live demo!